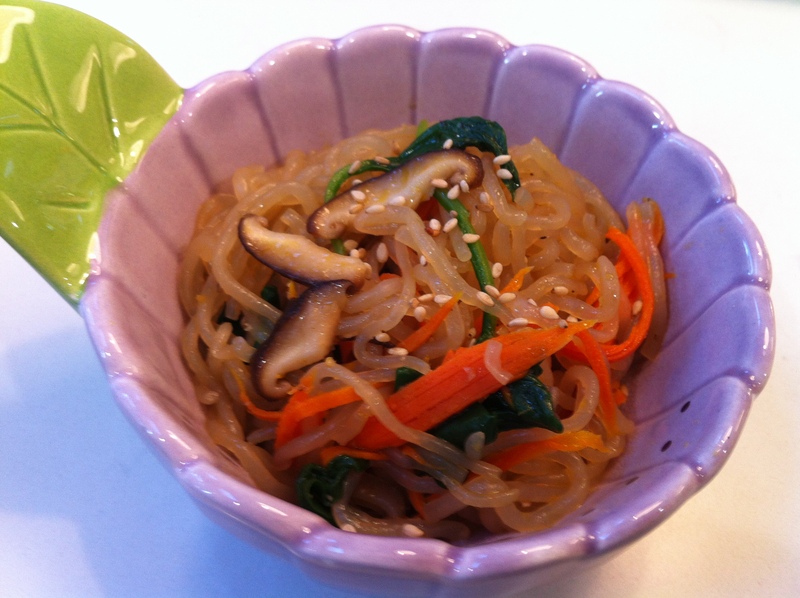 korean stir fried noodles with vegetables (japchae) | what is clara eating today? 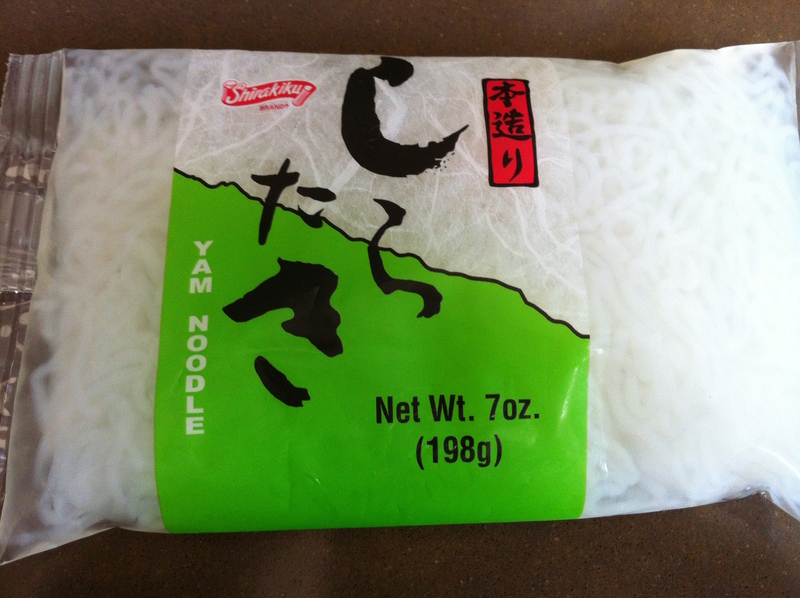 when you stir fry the shirataki noodles, it is not as chewy, and the flavor gets absorbed well. after trying many different brands, i found Shirakiku brand (see below for picture of the packaging) to be the best noodle for clara… it is not as chewy as others. These can be found in Japanese stores. heat 1t of sesame oil in a pan. stir fry the noodle (if you are using mushroom and carrots, sautee these first, then add noodle) and season with soy sauce, trivia, sesame seeds, and ground pepper.